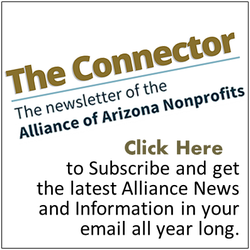 Want to fully fund your nonprofit? Here’s the key: create diversified revenue streams. In other words, get money from more than once source. Having diversified revenue streams creates stability and keeps you from being overly dependent on one source of funding, which is dangerous. I had a client several years ago that funded most of their million-dollar budget from a single grant through the State of Tennessee (cue the sad music). The State started cutting their budget and grants were reduced. Which meant that this nonprofit was immediately struggling. They had not prepared for ANY other kind of income – no earned income from programs, no fundraising from individuals, no private foundation grants– nothing. Even though the organization was over 30 years old, they had never really asked anyone for a donation. It was total heartbreak. We started fundraising, but it was nearly too little, too late. Moral of the story? Don’t put all your eggs in one basket. Don’t rely on sole-source funding. Because you never know when it might go away. When you have lots of fundraising strategies working for you, you can lose one and it’s not fatal. I remember watching this play out after September 11. I was working at the Food Bank when the planes hit the twin towers. After that, lots of people in Knoxville were donating to various causes benefitting New York City. Lots of us working in fundraising started to get nervous – would our donors give to New York and not us? How much would we be short? What would we do to make up the difference? I watched my numbers very carefully that year, and I was thrilled when all my best donors sent in their gifts. I remember ONE corporate donor who did not make his usual $10,000 gift to us and instead sent ALL his charitable giving to New York. Since I had money coming in from so many sources, we hardly missed that single gift. I had colleagues who didn’t weather that storm as well and had to deal with some pretty ugly situations. You what the difference was? I had several very healthy streams of income. I had a strong monthly giving program. I had a big donor base. I had built relationships with foundations and had lots of grants coming in. Some of my colleagues didn’t have that, and it left them struggling. This is very timely right now in the wake of hurricanes Harvey, Irma, and Maria. Lots of folks have asked me what to do to raise money since everyone is donating to disaster relief. Creating diversified revenue streams won’t help you much right now, but it will get you ready for the next one (and I guarantee you there WILL be another one). So, what does it look like to have diversified revenue for your nonprofit? It looks like a good mix of events, grants, appeals, online giving, monthly giving, and so forth. But even with all that, NO ONE grant, event, or donor should make up more than 25% or so of your total income. In this example, there’s money coming in from lots of different sources, and no single source or slice dominates the pie. This is a healthy situation. If you lose one donor, you can make it up somewhere else. If your outdoor event gets rained out, you can increase revenue from another source. What is the right combination of revenue streams? How many events/appeals/grants should you have scattered throughout the year? You can figure it out through trial and error, or start with my 1-10-1000 Rule. Do 1 event and do it really well. Put together a committee of all-stars who can help you plan and pull off a successful signature event. Get as much corporate sponsor money as you can. Make it an event that everyone loves and wants to attend. Make a crap-ton of money from the event so you have a substantial return on your investment of time, money, and effort. Hold your ONE big event, then go on to other things. Get 10 grants. Or more. The point here is don’t leave grant money on the table. Do your research to find the hot opportunities and create a deadline calendar so you know what to apply for and when. Get all the grant money you can without letting any single grant be more than 30% of your revenue. If you rely too heavily on one grant, you’ll be like the first example I shared where the organization struggled mightily when their one big grant was reduced. Build a donor base of 1,000 (or more). Long-term fundraising success hinges on the size and loyalty of your donor base. So, focus on building it. Work at it constantly. Surround your nonprofit with a large pool of supporters who WANT to see you succeed. The more you have, the safer it is for you in the long run, because if you lose one donor, you still have 999 more. Once you have those three things in place, build a monthly giving program and do some major gift work. Can you see how stable your income would be if you had all those things in place? Let’s crunch some numbers and see what your revenue projections might look like. In this example, see how the one event creates a little instability? If something happens to the event, it could be trouble. You wouldn’t want to lose the event at 32% of revenue, but the better job you do with the appeals, the more those numbers will go up and the event as a percentage of the total will go down, creating a healthier situation. Make sense? If you’ve never looked at your revenue in terms of streams and calculated each stream as a percentage of the total (like the sample), I encourage you to do that. It’s very eye-opening. You may find that you’re a little too dependent on one source (and you can do something about it before it becomes a problem). Once you choose the fundraising strategies you want to use for the year, work to master them. This whole concept of diversified revenue streams doesn’t feel good if you’re struggling and nothing seems to work. If you’re starting from scratch, take it one piece at a time. Remember, Rome wasn’t built in a day, and if you have lots of streams to build, it will take time. Start with the 1-10-1000 Rule and get your grant calendar together, plan your one event, then start building your donor base. Be proactive in creating diversified streams. Create a plan and work it. Get organized. And stay committed. Watch your revenue streams each month to see how they’re doing. You can’t manage what you don’t measure, and you’ll want to manage this. Watching the numbers is half the fun!